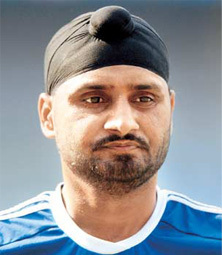 Explore all information about Indian cricket bowlers Harbhajan Singh. 15-Nov-2010: He become the only No. 8 batsman in test cricket to score back-to-back Test centuries. 08-Nov-2010: Harbhajan Singh has become only the second man in Test history to have scored a hundred and a fifty in a match when batting at No. 8. South African Eric Dalton is the only other No. 8 to have scored a century and fifty in the same match.